Win a double pass to Academy Award-nominated film Mustang | Daily Review: Film, stage and music reviews, interviews and more. Nominated for best foreign language film at the 2016 Academy Awards and winner of four Cesar awards, Mustang is a powerful and moving story of repression and empowerment. The first feature from director Deniz Gamze Ergüven tells a coming-of-age story about the wild and untameable female spirit and features a fantastic score from Australian icon Warren Ellis. The film has screened at some of the world’s best festivals and received great critical acclaim. Mustang opens in Australian cinemas on June 23. Daily Review has TEN double passes to the film. 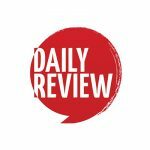 Enter your details here and make sure you’ve liked the Daily Review Facebook page or subscribed to Daily Review for free for your chance to win. Looks great! A double pass please. Wanted to see this at Sydney Film Festival. SHOULD BE A TOP NOTCH ATTRACTION!